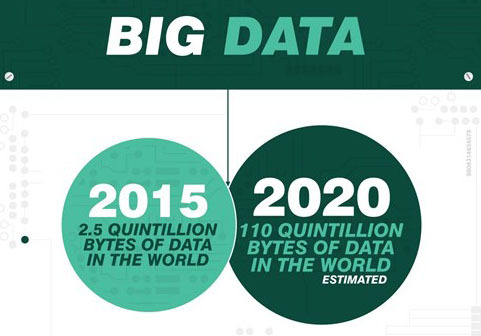 What is big data? This question pops up more and more these days as marketers are confronted with the term and topics involved. In response to this, Professional Academy together with Moocreations has created a ‘What is big data?’ infographic. The infographic gives answers not just about the numbers, but also about the business benefits and properties of big data. Remember, 90% of all data in the world has been created in the past 2 years. The advantage of that is that data is still young, and it has been created within the same period of time: it is all related to eachother. A total of 2.7 Zettabytes of data exists today, which is the equivalent of over 200 billion HD movies. This would take a person 47 million years to watch! Hopefully the above infographic will give some answers to the question of ‘What is big data?’ but as always, marketers who want to explore the possibilities and opportunities of big data need to dig deeper and look into the options for their own situation. To check out the full article by the Professional Academy on the big data question, head over to their website.